Win a Daddy Diaper Changing Tool Box! 1. Visit www.funstuff4babies.com or www.GiftsForDadToBe.com. 2. Come back here and leave a comment telling us about the dad you will give this to. -Become a follower of Mommy's Idea. -Blog about and link to this giveaway. Please leave your blog url in your comment. -Stumble this post or http://www.mommysidea.com/. 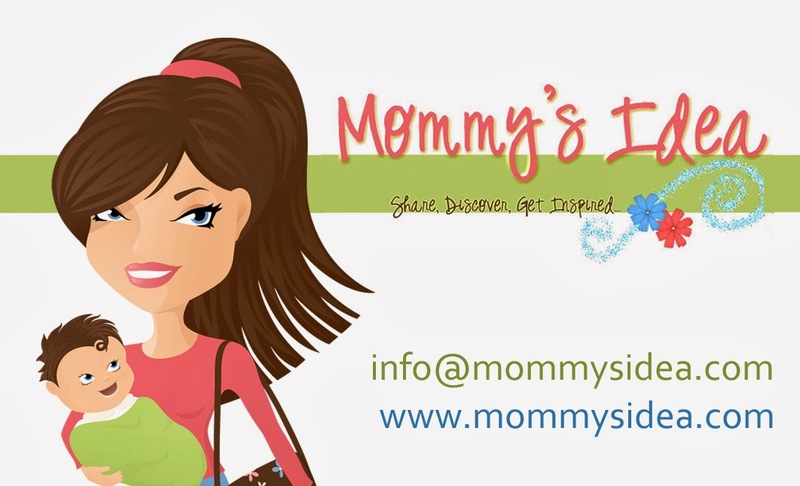 -Add our Mommy’s Idea button and/or Ellie Bags button to your site. Contest ends at 11:59 PM EST on Tuesday, April 20, 2010. *I have received a sample product to review. Win a Custom Charm from Sodderbug.com! Here’s how to enter . . .
2. Come back here and leave a comment telling us what you’d put on your charm. Win a Melissa & Doug Play Food Set from Gummy Lump Toys! 2. Come back here and leave a comment telling us which item you’d love to win. Open to residents of the Continental US. Be sure to check out all their play food sets! Love shopping online and getting great deals? Check out shopnbc.com! I recently learned about ShopNBC.com, a site selling everything from jewelry to computers and electronics. They are the same great products you’ll see sold on tv and of course you can still shop from home- my favorite feature of online shops! I took a good look at the watches available and was really struck by the Invicta watches. The selection available is geared mainly toward men, but you’ll find some really nice woman’s watches as well. What stood out right away for me was the vibrant colors! Take a look above at one of the gorgeous men’s watches (top) and one of the beautiful women’s watches (bottom), both with eye-catching blue faces and accents. And the best part? Prices are well below retail. In some cases, at a great clearance price. The women’s watch above is on clearance at more than 50% off the already discounted price! I also love that the site offers honest consumer reviews of the products. This is something I look for, and usually read thoroughly, before buying most items. Take a look around and check it out for yourself! Win a No-Touch Hand Soap System and Refill from Lysol! LYSOL®, the number one surface disinfectant brand recommended by pediatricians, has expanded its fight against germs into personal care with the introduction of the No-Touch Hand Soap System – a revolutionary way to help keep hands healthy. For use in the kitchen or bathroom, it helps stop the spread of germs by automatically sensing hands and dispensing antibacterial soap that kills 99.9% of bacteria, including E.coli, MRSA and Strep. The hand soaps are also enriched with moisturizing ingredients and available in three fresh scents. With the LYSOL® No-Touch Hand Soap System, families never have to touch a germy soap pump again. · Wet hands with clean running water and apply soap. Use warm water if it is available. · Rub hands together to make lather and scrub all surfaces, including underneath the nails and back of the hands. · Continue rubbing hands for 20 seconds, long enough to sing the “Happy Birthday” song twice. · Rinse hands well under running water. · Dry hands using a paper towel or air dryer. If possible, use a paper towel to turn off the faucet. 1. Leave a comment telling us why you ‘d love to win this. 2. Be sure to leave your e-mail if you don't have a blogger ID. Bloggers- you must have a public profile and listed e-mail for us to find you. Contest ends at 11:59 PM EST on Friday, March 19, 2010. Win a Cozy Sleeper Bag from aden + anais! *Please read below for important information on preventing SIDS. Contest ends at 11:59 PM EST on Thursday, March 18, 2010. With the coldest of the winter months now upon us, parents and caregivers are more likely to crank the heating and reach for plush, thick blankets to keep their babies warm. Infants who are overdressed or covered in heavy blankets or many blankets are at higher risk for SIDS. It is very important for babies to be dressed lightly and comfortably to avoid overheating. The CJ Foundation recommends the use of wearable blankets and sleep-sacks in place of blankets to keep infants warm while sleeping. aden + anais®, creator of the original muslin swaddling blanket and unique muslin cotton sleeping bags, is proudly sponsoring the CJ Foundation for SIDS and their continuing efforts to educate parents about the importance of not over-bundling and over-heating their infants. Over 2,000 babies in the United States still die of Sudden Infant Death Syndrome (SIDS) each year, and overheating is a leading risk factor. In an effort to support the CJ Foundation for SIDS’ mission, aden + anais® began sponsoring the foundation in October 2009 during SIDS Awareness Month. Each aden + anais® product is made of 100% breathable muslin cotton, which allows baby’s body temperature to adjust naturally, reducing the risk of overheating. For more information on aden + anais’® sponsorship of the CJ Foundation, please contact Kristina Junger-Godfrey at Kristina@kjunger.com or 949.720.7062.